Vinyl wraps are a brilliant invention that allow you to completely change the look and feel of your vehicle. Available in a huge range of colours in gloss or matt, you can wrap every surface or just part of the vehicle to suit your ideas and budget. Wrapping the trim on a vehicle can highlight the trim detail and create an amazing finish that creates real stand out. 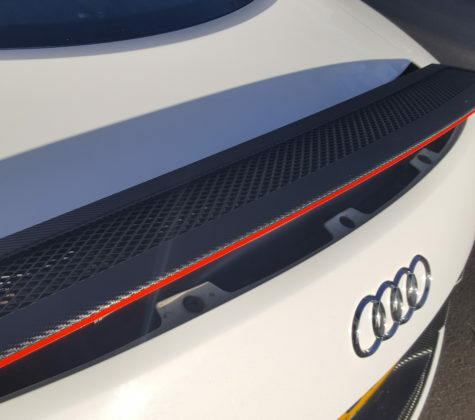 We used a carbon fibre wrap to give this Audi a stunning new skin. Full wraps transform the look and feel of a vehicle. Teknos wanted to highlight the effectiveness of their exterior paint finishes. 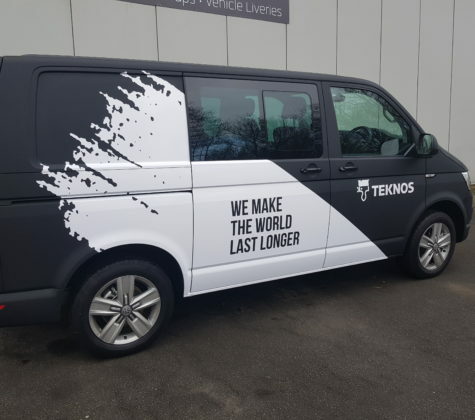 Using a gloss white graphic over a matt black created a striking contrast, as if the vehicle had been actually painted with a splash of white paint.